Termux is an Android terminal emulator and Linux environment app that works directly with no rooting or setup required. A minimal base system is installed automatically – additional packages are available using the APT package manager. It combines powerful terminal emulation with an extensive Linux package collection. Secure. Access remote servers using the ssh client from OpenSSH. Termux combines standard packages with accurate terminal emulation in a beautiful open source solution. Feature packed. Take your pick between Bash, fish or Zsh and nano, Emacs or Vim. Grep through your SMS inbox. Access API endpoints with curl and use rsync to store backups of your contact list on a remote server. Customizable. Install what you want through the APT package management system known from Debian and Ubuntu GNU/Linux. Why not start with installing Git and syncing your dotfiles? Explorable. Have you ever sat on a bus and wondered exactly which arguments tar accepts? Packages available in Termux are the same as those on Mac and Linux – install man pages on your phone and read them in one session while experimenting with them in another. With batteries included. Can you imagine a more powerful yet elegant pocket calculator than a readline-powered Python console? Up-to-date versions of Perl, Python, Ruby and Node.js are all available. Ready to scale up. Connect a Bluetooth keyboard and hook up your device to an external display if you need to – It supports keyboard shortcuts and has full mouse support. Tinkerable. Develop by compiling C files with Clang and build your own projects with CMake and pkg-config. Both GDB and strace are available if you get stuck and need to debug. 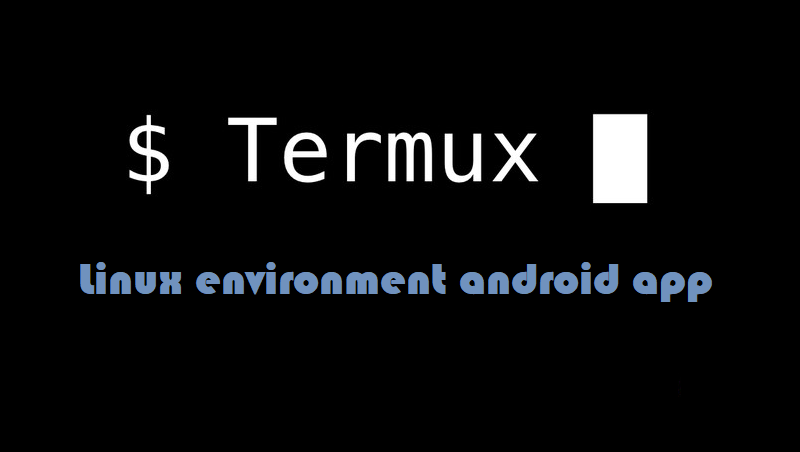 Termux:API – Access Android and Chrome hardware features. Termux:Boot – Run script(s) when your device boots. Termux:Float – Run in a floating window. Termux:Styling – Have color schemes and powerline-ready fonts customize the appearance of the terminal. Termux:Task – An easy way to call Termux executables from Tasker and compatible apps. Termux:Widget – Start small scriptlets from the home screen. Can I install all the Termux packages? Probably no, some packages are known to conflict with each other, e.g. Dropbear and OpenSSH. But you can still install most of packages, this will take approximately 3.5 GB of space on internal storage. Use apt install * in an empty directory. This will produce an error, and this is exactly the result you want for step one. Study the output to find out conflicting packages, then find a way to select only packages that don’t cause conflicts. Note – Install Termux&Termux API app both.